In addition, he is also the Co-Chair of Young Indians, Delhi (Youth Wing of Confederation of Indian Industry), which is focused on nation building, youth leadership and thought leadership. He is currently serving on the Board of Governers for National Council for Cement and Building Materials (NCCBM). 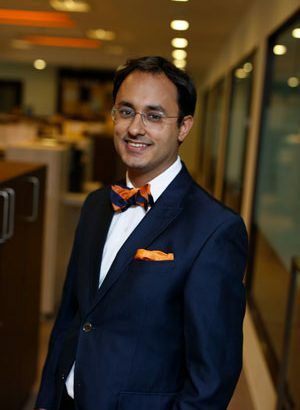 Nikhil is Chief Operating Officer at Ginger hotels, A TATA Enterprise and was a founding member at the Lemon Tree Hotel Company, Nikhil is an active marathon runner, he is also a pro engager which is the TATA group’s skill based volunteering program. 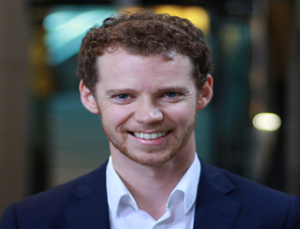 Dan is a technology and telecommunications lawyer at Corrs Chambers Westgarth. Dan has significant experience advising large enterprise on technology procurement, and frequently negotiates high value IT deals with Indian technology companies. 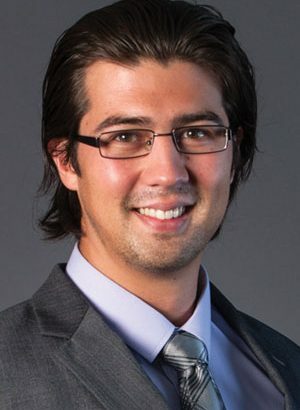 Dan has worked closely with business start-ups and disruptive technology, including in the fields of blockchain and cryptocurrency, and has been instrumental in developing his firm’s engagement strategy with the Australian start-up community. Dan also advises clients on cyber security, including in respect of the roles of management and legal in ensuring best practice cyber resilience for large enterprise and government, and has given numerous presentations on the topic. Dan has held a long standing interest in India having lived in the country for approximately 8 months in 2008, where he worked for an NGO in New Delhi. 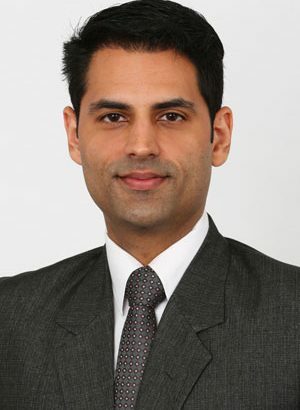 Luckbir Singh is a Director and Owner of MacDonnells Law, a 100-person Queensland based law firm. Luckbir became a partner of MacDonnells Law in 2007 and was the youngest modern-day partner appointment in the firm’s 135 year history. He has been recognised for his legal skills and client outcomes by Lawyer’s Weekly as a finalist in the 2016 Australian Partner of the Year Awards and was awarded the Queensland Law Society’s Outstanding Achievement by a Young Lawyer award in 2008. Luckbir is a corporate legal adviser to CEOs, Directors and Entrepreneurs who are seeking strategic legal advice to successfully navigate stakeholder groups and solve complex problems to achieve long term success. Luckbir holds a growing Director portfolio. Luckbir is the Deputy Chair of the Cairns and Hinterland Health and Hospital Service ($900M budget), Councillor Australian Institute of Company Directors Queensland Council, Director North Queensland Primary Health Network Limited, Director of Cairns COUCH Limited and Chair of the FNQ Regional Policy Council Chamber of Industry and Commerce Queensland. Luckbir was born and raised in Far North Queensland, with his family having lived in the region since the 1890s. 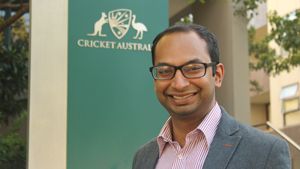 As the Head of Strategy & Scheduling at Cricket Australia, Sachin has been at the forefront of developing Australian Cricket’s approach to challenges facing the sport in Australia and globally. These have included the development of three national strategies, a new funding model for State Associations, a new performance based model for national players and the restructuring of international and domestic cricket schedules. Sachin has also conducted multilateral negotiations with other cricketing nations about the commencement of new competitions for men’s international cricket and lead the formation of format strategy for Australian Cricket. Sachin is a strong advocate for the role of the Indian (and broader South-Asian) community in cricket in Australia, and firmly believes this community will be a critical part of the success of the sport in Australia and around the world. Furthermore, Sachin believes that the burgeoning size of the diaspora in Australia represents a wonderful opportunity to further develop, facilitate and nurture bilateral relations between India and Australia across every sphere. Sachin is also a business representative on the Victorian Government’s Taskforce for the first ever Indian precinct in Victoria, in Dandenong in Melbourne’s south-eastern suburbs. 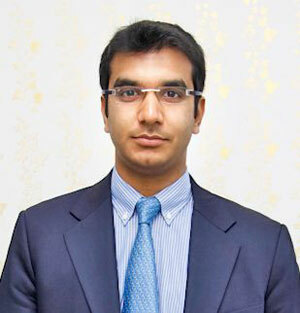 Born in Sydney, Sachin previously worked as a management consultant for Bain & Company, and he is a qualified lawyer. Peter is a Partner in Deloitte’s Strategy Consulting Practice – Monitor Deloitte. He is a Chartered Accountant and Graduate of the Australian Institute of Company Directors. He has over 10 years experience working at the links between strategy, operations, technology, service design and innovation in Australia and globally. Peter is an expert in the Telecommunications, Media and Technology (TMT) industry. He is a recognised TMT industry thought leader and has published over 50 articles on the strategies shaping the TMT industry. co-host of ‘Two Tribes’ – a podcast that uncovers the real stories of entrepreneurship and investment in Australia.